Sciatica SOS Review - Cured in 7 Days? 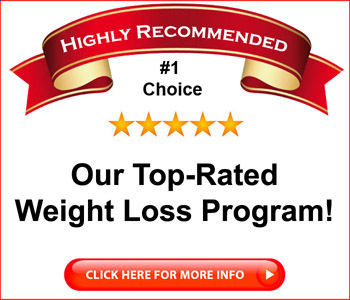 Sciatica SOS Review – Cured in 7 Days? Do you suffer from sciatica? This is a condition characterized by nerve pain running from the lower back down the leg. The pain can be excruciating and can last for up to six weeks without treatment. It’s a common problem, with a number of causes, and the likelihood that you’ll encounter this problem increases with age. 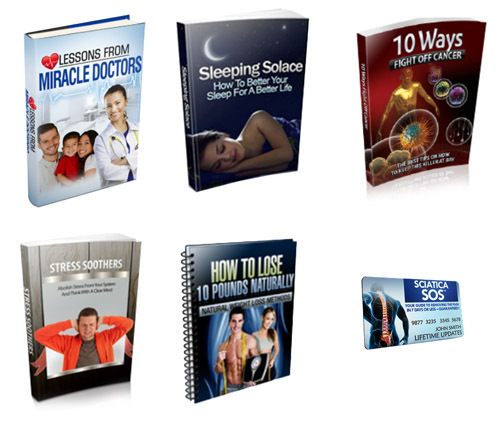 A book called Sciatica SOS says they have the solution and that if you use the methods in the book, you can cure your sciatica at home in just seven days. Not only that, but they guarantee it. I do occasionally have problems with sciatica, and I had a bout with it just a month or so ago. This seemed like as good a time as any to take a look at Sciatica SOS and see if the book is all it’s cracked up to be. Is Sciatica SOS a scam, or can it help you? Read on for the full Sciatica SOS review. 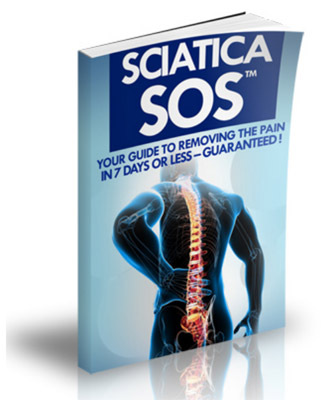 Sciatica SOS is sold as a downloadable ebook in PDF format. PDF books can be read on any kind of computer device, including tablets and smartphones, making it a convenient format for reading. As the book is downloadable, you can access it immediately after purchase, regardless of the time of day. 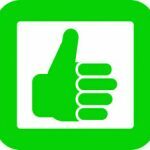 The bonus books are private label rights (PLR) books that are readily available from a number of sources. They have nothing to do with sciatica and are offered just to give you the impression that you’re getting more for your money. That’s not to say that they’re bad books, but they’re not a reason to buy. If you’re suffering from sciatica, you’re not going to buy a book about it just because you also get a book that tells you how you might avoid cancer. The main reason you would buy Sciatica SOS is because you want some relief from your nerve and back pain. The main Sciatica SOS book is 86 pages long and does not credit an author. The text of the book suggests that the author is a physician who works with sciatica patients. The book is well-written, and includes an important disclaimer that I should point out here: Back pain and nerve pain can signify a serious medical condition. You should not try any of the methods in the Sciatica SOS book without first consulting with your physician to ensure that you do not have a serious medical condition. That said, the first part of Sciatica SOS outlines the condition itself, it’s symptoms, and the surprising number of causes that can bring the condition about. Some are caused by nerve and muscle damage, some come with age, and others might result from injury. All present the same sorts of symptoms, which can come out of nowhere and last for up to six weeks. Many doctors recommend rest and over the counter analgesics, but the author of Sciatica SOS suggests that a better solution is to engage in exercise, along with taking some easily-prepared home remedies. These remedies are both topical, as in, “things you apply directly to the body,” and foods and juices that you will consume in order to increase the body’s ability to respond to inflammation. The bulk of the book has to do with performing certain types of exercises that you can do (to the extent that you are comfortable) in order to help relieve the pain. The author of the book feels strongly that these exercises are going to help you a lot more than will bed rest, as the exercises will help strengthen the muscles surrounding the affected nerves. The exercises are thoroughly explained, and are accompanied by diagrams showing you how to perform them. I would have preferred photographs to drawings, as photos often make it easier to understand what you’re being asked to do. That said, the explanations of how to perform the exercises are pretty straightforward and easy to follow. If there’s a gripe I have about the exercise section of the book, it’s that the exercises are divided according to the cause of your sciatica. If you don’t know the cause, or why you’re suffering, then you won’t know which exercises to do. For that, you’ll probably need to see a doctor. The remainder of the Sciatica SOS book offers some suggestions for how to change your diet and lifestyle in order to minimize any future problems that you might have with sciatica. It’s true, after all, that anything you do to prevent getting sciatica in the first place or to prevent it from coming back once it is gone is better than having to treat the condition. All in all, Sciatica SOS is a well-written book that offers some good, no-nonsense suggestions for helping you keep your suffering from a common and painful condition to a minimum. Is Sciatica SOS a scam? No, it’s a well-written book that anyone who suffers from this condition may very well find to be useful. 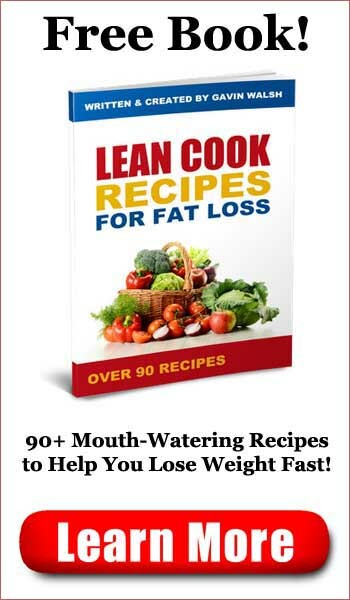 The diet and exercise sections of the book are informative, and the exercises themselves are well explained and easy to follow. If you’re suffering from this common health condition, you will likely find Sciatica SOS to be quite helpful. Click here to visit the Sciatica SOS Website. The Youth Method Review - Tight, Flat Belly in 14 Days?